Car data consumption is critically important to auto manufacturers. As more vehicles are produced with built-in infotainment systems, the cost of supplying them with live information and real-time updates via a data connection grows ever greater. Auto manufacturers need to be able to enhance the driving experience with smart traffic, navigation, and entertainment services, while reducing costs and data volumes. 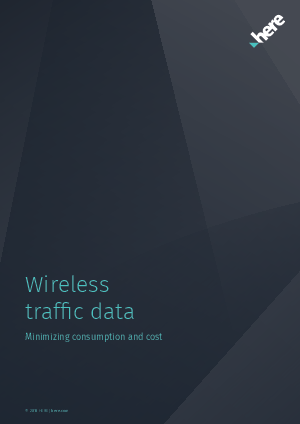 HERE is the world’s leading provider of traffic data to the automotive industry. This eBook shows how HERE optimizes traffic solutions and it outlines how data use modelling, standardization, and good data management can help reduce usage.